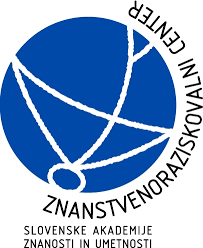 Dr. Dan Podjed is a Research Fellow at the Research Centre of the Slovenian Academy of Sciences and Arts (ZRC SAZU). He is habilitated as an Assistant Professor for Cultural and Social Anthropology at the University of Ljubljana. He is a principal investigator of an applied research project “DriveGreen: Development of an Eco-driving Application for a Transition to a Low-carbon Society” (2014–2017). He is a coordinator of the Applied Anthropology Network of the European Association of Social Anthropologists (EASA) and initiator of the international symposium “Why the world needs anthropologists.” In 2011 he was awarded by the Slovenian Research Agency for his publications on nature conservation volunteering in Slovenia and received an award in 2008 for exceptional achievements from the University of Ljubljana, Faculty of Arts. His current research interests include volunteering and altruism, mobility, human-technology interaction, nature conservation and organisational cultures.